Here comes more heavy metal from the land of the Romans. Pisa is famed for its leaning tower, but VEXILLUM wants to make you notice the town´s heavy metal as well. Or at least the Folk heavy metal, as the five members pose proudly in kilts. Back in 2004 they formed as SHADOW VEXILLUM, Scottish kilts were soon added to their stage show and in 2006 vocalist Dario Vallesi joined in. 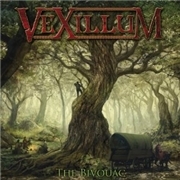 While working on their debut effort they also shortened their name to VEXILLUM, and the demo “Neverending Quest” appeared in 2007. Since then they have released an album “The Wandering Notes”, changed drummers and worked on this one. They do ride out at first, as “The Wanderers Note” opens with that and a hum. The rest is folky power metal with a slightly husky voice. It is all quite spry without quite being the blistering opener needed. The refrain sounds odd in key in “Dethrone the Tyrant”, while the “Dancing Godess” is a display of folk metal with a quick pace. The elegant wholesomeness I was hoping for appears in “The Oak and Lady Flame”. The multitude of instruments is what I like from folky bands, but the vocals are perhaps a tad too much up front in the mix. The fast pace is changed in “The Dream”, but the band seem less at home when the speed vanes. In my opinion they do best in “The Marketsquare of Dooley”, which conveys the right atmosphere, “Megiddo”, which leaves the folk trail behind in favor of more heavy metal, and their grand opus “Valhalla”. The pace is absolutely right, there is something like classic heavy metal about the doomy opening and the refrain fits like a glove. But all in all VEXILLUM can´t capture their optimism and aspirations the right way. There is force and many swift songs, but also too few strong refrains and the illusive “it” of the music business is not to be found in more tracks than “Valhalla”.